Home / About JAWS / Archive by category "In Memoriam"
Over and over, Rita Henley Jensen‘s friends and colleagues describe her as “a force.” They call her formidable and extraordinary. Jensen used those strengths to fight her way out of poverty and into an award-winning career in journalism, working all the while to amplify women’s voices and advocate for their health and welfare. Jensen, the founder of Women’s eNews and of the Jane Crow Project, died Oct. 18 of breast cancer, according to her daughter, Ariel Jensen-Vargas. She was 70. Marj B. Paxson passed away at the age of 93. She is remembered for her leadership and trailblazing qualities. JAWS member Carole Ashkinaze Kay, a pioneering journalist who served as the first woman on the Atlanta Journal Constitution’s editorial board, died of cancer Monday, Sept. 19, 2016, in hospice in Atlanta. 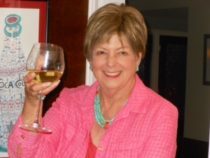 Carole shared her hospice news with JAWS and her other friends in early August, continuing to read the email list and sharing her life on Facebook. “Sherry E. Conohan had a career in journalism that spanned more than 50 years. She began her career with a degree in journalism from the University of Missouri. She was vice president of Alpha Chi Omega sorority and was past president of the University of Missouri Alumni Association of New Jersey. As a journalist, she worked in Missouri, Illinois, Iowa, New York and New Jersey. She had numerous assignments for UPI and Gannett and traveled extensively. [Conohan] reported directly from the tumultuous 1968 Democratic convention in Chicago. [Her] forte was political reporting and also covered many of the larger New Jersey crime investigations. A clip of Dori J. Maynard at a past Conference and Mentoring Project (CAMP). This article was originally posted on Nieman Foundation News. It’s hard to imagine the world without Dori Maynard in it. She leaves an incredible legacy and has touched so many. You can hear it in the many tributes greeting the news of her death. How did she manage to do so much in 56 years? How could she be so many places, making speeches and driving home the point that journalism and life demand all voices in order to work in any accurate and meaningful way—and then offering wise counsel and a sympathetic ear in a late-night phone call to a friend? Last year, when we both happened to be in New York on business, we met for brunch and—since it was a beautiful day—walked and walked and talked and talked. I will carry that day with me now. She was sweet, kind, funny and fierce. And even when her message was serious she made it with such clarity and charm that everyone got it. The Journalism and Women Symposium (JAWS) was honored to have Dori J. Maynard serve on our Advisory Board since 2012. As a lifelong journalist with a deep commitment to improving the craft and reflecting the diversity of our communities in news coverage, Dori was admired by many. Dori was a natural, and welcome, addition to the JAWS community. The group’s mission, to support the professional empowerment and personal growth of women in journalism and work toward a more accurate portrayal of the whole society, aligned well with Dori’s passion for teaching and showing journalists how bringing diverse sources to their stories made them more accurate. I’m sure I was just one of many women who spent time this past weekend reflecting the remarkable career of Dinah Witchel. Her work as an author, editor and writer inspired women everywhere, no more so than with her long involvement as a member of the Journalism & Women Symposium. I can’t remember a time when she wasn’t on the JAWS membership roster. I met Mary Thom in 1988 when I opened a Washington bureau for MS Magazine and its new owners, Australians Anne Summers and Sandra Yates. Mary had stayed on from the original MS startup editing team and she scared me to death. She was a larger than life presence. I had not even free-lanced for MS and here I was, working with one of the women present at the creation. I did think I knew everything about the women’s political movement, having covered it since 1971 for the AP and then as a Washington correspondent for Working Woman magazine. I realized, early on, that Mary knew a lot more. She didn’t lord that over me. She shared her incredible depth of knowledge. She proved easy to brainstorm with and very user-friendly to work with. When the Los Angeles Times wrote Kay Mill’s obituary, it noted that she had no survivors. Kay’s memorial service on February 27, 2011 was a clear contradiction of that statement. She may not have had siblings or children, but clearly her reach was wide and deep among her friends, colleagues and her neighbors in Los Angeles. About 75 attended the service at the Unitarian Universalist Community Church of Santa Monica. About 50 people remembered Kay Mills at a Washington, D.C. memorial service Feb. 8 as an unpretentious and influential writer who shone a bright light on the unfinished job of justice in American society. She was “a trail blazer, but also a trail clearer,” said Marian Wright Edelman, founder of the Children’s Defense Fund. She was “an unwavering voice … (who) hated injustice” and who “made things happen,” for the good of a wide range of people. Mills, who died Jan. 13 in Santa Monica, Calif., had a productive career as a wire service, newspaper and freelance journalist and author of five published books. Welcome, everyone. My name is Betty Anne Williams. Like all of you, I’m a friend of Kay Mills. Also like you, I’m stunned and still trapped in a state of near-disbelief that we’ve lost such a great friend. Kay was the personification of vitality and an important player in the world of news and media that we care about so deeply. Gutsy, energetic, smart, driven, sharp-tongued, cantankerous, impatient, generous. These conflict, you say. As Betty Anne would say: SO???!! Kay was a complex person. Despite her abundant skills, she could come across as self-effacing. I can’t recall her ever promoting herself even when she should have. She was self-confident and sure-footed, however. Friends, colleagues and admirers of Kay Mills are invited to join us as we remember Kay on Tuesday, Feb. 8, from 6:30 to 8 p.m. at National Public Radio, 635 Massachusetts Avenue, NW, Washington, DC 20001. NPR is easily accessible from Metrorail; the nearest stop is Gallery Place/Chinatown/Verizon Center. There is also some street parking nearby. This is being organized by her friends in JAWS, but we hope that her friends from other parts of her life attend as well. We’ll have drinks and light refreshments as well as stories, memories and good jokes that Kay would have appreciated. Kay Mills, a historian of women in journalism and civil rights and an inspirational member of the Journalism and Women Symposium’s founding board of directors, died Thursday, January 13, 2011, after a sudden heart attack in Santa Monica, Calif. She was 69. Kay’s sudden death shocked and saddened her JAWS friends, who considered themselves Kay’s extended family, often housing her on her research trips. She in turn hosted countless friends who passed through Santa Monica. We have very sad news. Our beloved Kay Mills died Thursday, January 13, 2011 in Santa Monica, California. She had a sudden heart attack. Kay has been a part of JAWS since it began, generous with her time, money and talents. 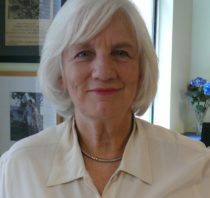 She was key in establishing the Eileen Shanahan Fund for a speaker at JAWS Fall Camp, mentored and nurtured countless young women on journalism and writing and has been a vital part in the growth and leadership of JAWS. JAWdess Susan Lowell Butler was a prime example of someone who took action when life tossed her lemons: She made lemonade, not by the pitcher, or the gallon, or the barrel, but by the tanker truck. Diagnosed in 1995 with two primary cancers, breast and ovarian, both in advanced stages, she learned everything she could about what she had to do to heal, and then launched a plethora of projects that would help others stand a better chance of surviving cancer in its many insidious forms. The first time I met Molly Ivins was in Houston back before half of you were born. A college friend of mine was working for one of the newspapers there (and they had two then, by golly) and so several of us got together and swilled down more bottles of Lone Star beer than I care to remember. Nancy Hicks Maynard, who helped bring enormous changes for diversity within the media, died Sept. 21, 2008, in Los Angeles. She was 61. Her family said that she had been ill for several months and that her death resulted from the failure of several major organs, according to the Maynard Institute for Journalism Education. Eileen’s death Thursday, Nov. 2, 2001, resonated with many people who she helped over the years. Her obituaries in the New York Times and in the Washington Post tell part of her story; the Maynard Institute tells another; the Washington Press Club another; a legacy.com site tells more. Here are some of our JAWS’ members thoughts.